Throughout the academic year, Albert G. Prodell Middle School Student Council members coordinate and engage in activities with their peers and spearhead fundraising opportunities to benefit the larger community. One of their recent accomplishments was collecting 88 pairs of glasses for New Eyes, an organization that provides eyeglasses to those who cannot afford them. School social worker and student council adviser Andrea Monz noted she is proud of the accomplishment of the council members and the school community and families, whose donated used eyeglass frames will be outfitted with new prescriptions and distributed to people in need around the world. 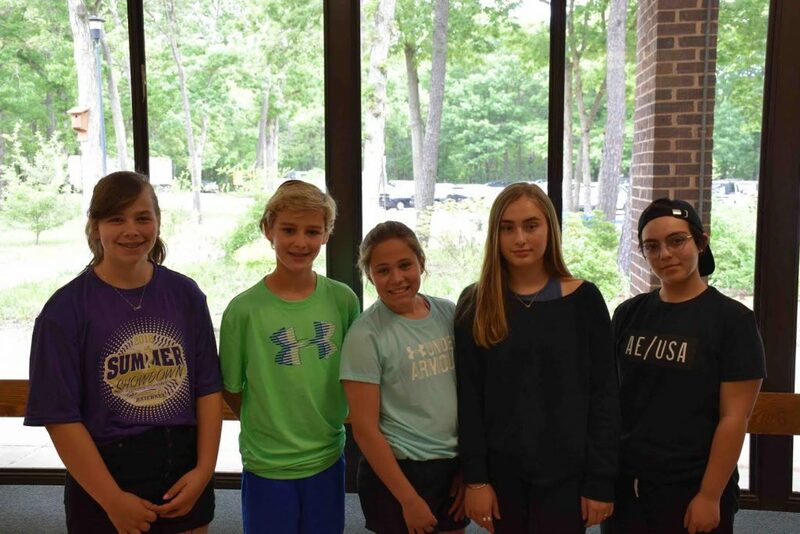 Sixth-grader Matthew Cerniglia, seventh-grader Courtney Greene, eighth-grader and student council president Joelle Ialacci, sixth-grader Elizabeth Sabino, and seventh-grader Corinne Suppa were instrumental in getting others to share their vision. Photo caption: Albert G. Prodell Middle School students Elizabeth Sabino, Matthew Cerniglia, Courtney Greene, Joelle Ialacci and Corinne Suppa led their peers in collecting 88 pair of glasses for people in need.